Looking for bespoke advice for your horse? Find out how WE can keep your horse in great shape. WE and You. Keep your horse in great shape. Don’t forget energy and calories are the same thing. Low energy = low calories. If your horse is overweight feed a low energy feed even if you are working him quite hard, or he’ll never shift his wobbly bits! 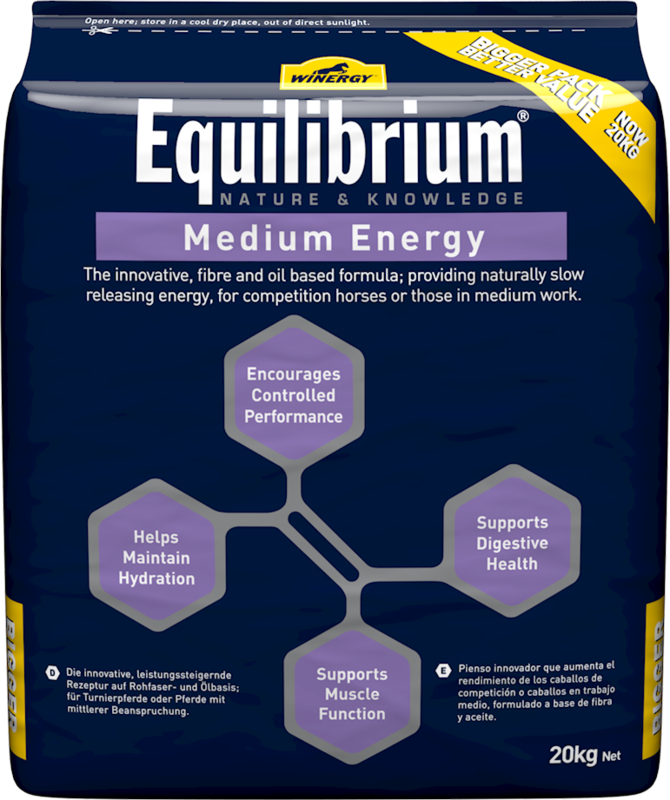 Not sure if Low Energy or Medium Energy is right for your horse? Start with Low Energy and then move up to Medium Energy if you need to. 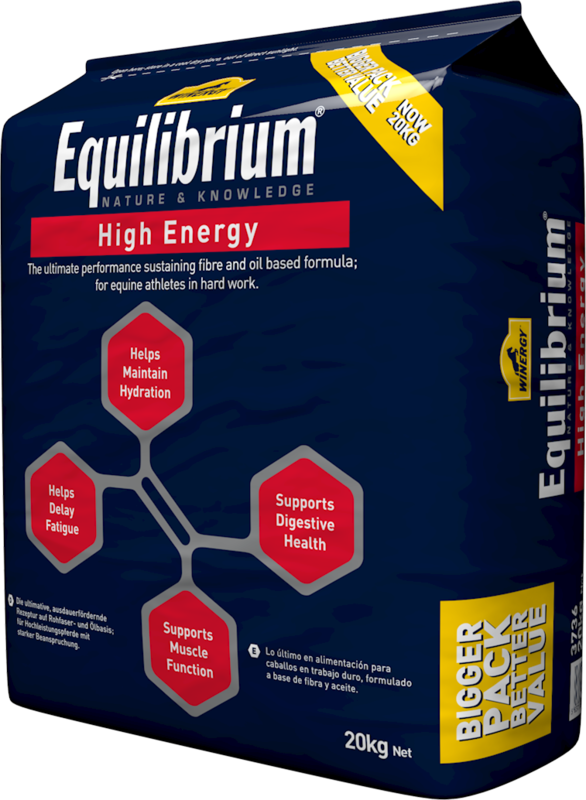 It’s always best to start on a lower energy product and move up than the other way around. 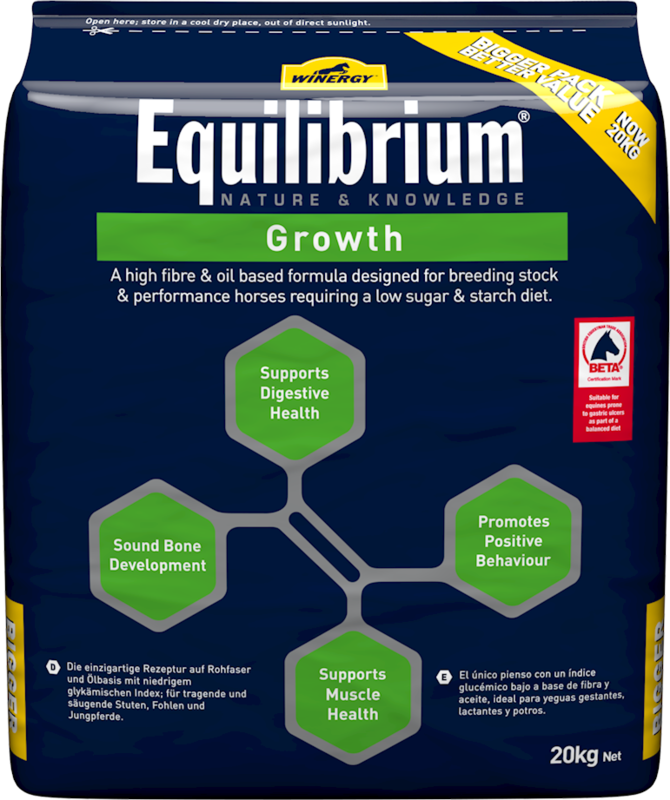 Is fibre and oil enough to power a horse in hard work? Yes. Check out the digestible energy levels in WINERGY Equilibrium High Energy. You’ll see the overall energy levels are very similar to other racing or competition feeds, it’s just the energy sources in WE which are different. A conditioning feed is designed to increase calories. To improve topline you need to concentrate on your horse’s muscle. Protein is the building blocks of muscle, so ensure your feed contains quality protein. However protein alone isn’t enough – you can’t form a good topline without correct exercise. Is WINERGY Equilibrium Growth just a stud feed? No! It’s very low starch making it ideal for horses and ponies requiring a cereal free diet, such as those prone to tying up or sensitive to cereals. 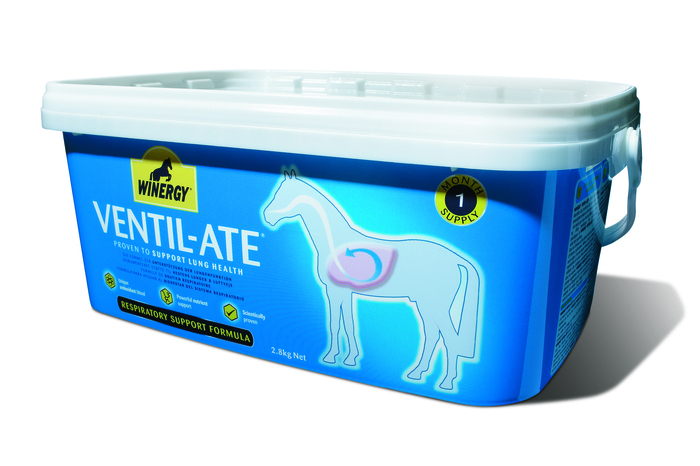 WINERGY VENTIL-ATE is a unique pelleted supplement, scientifically proven to support your horse’s own natural lung defenses. Its exclusive formulation provides powerful nutrient support through a specific combination of antioxidants including vitamin C, vitamin E and Selenium.